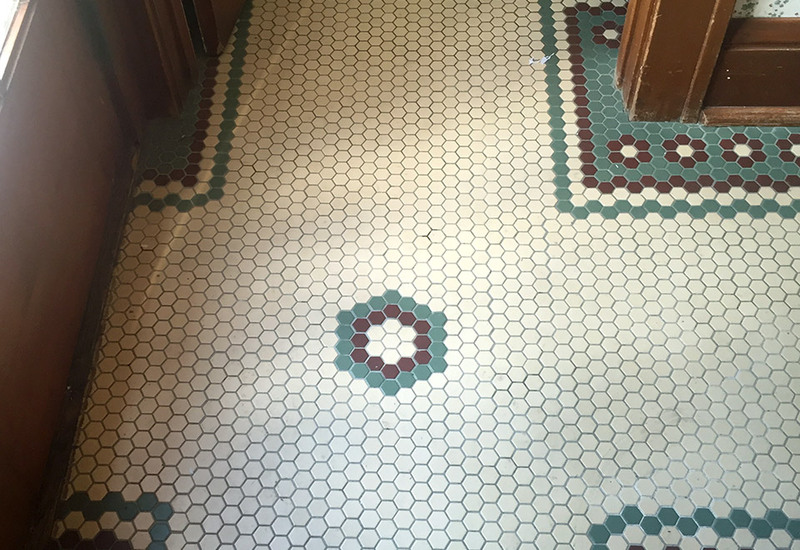 This project started off with a unique twist! 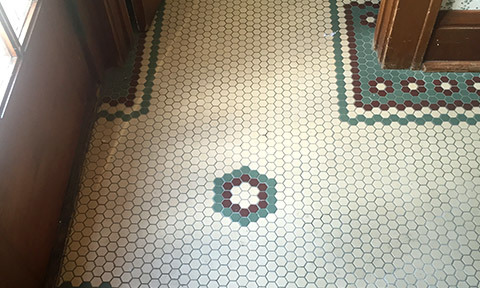 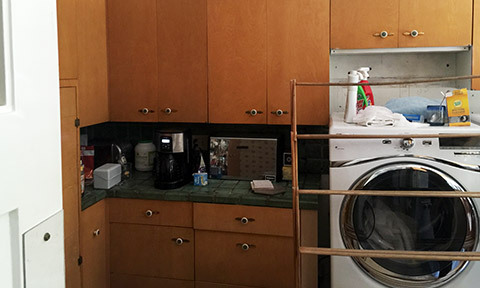 The original space that is now the laundry room was actually built as a kitchen in the 1950s. 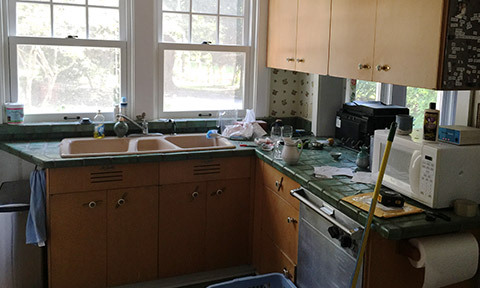 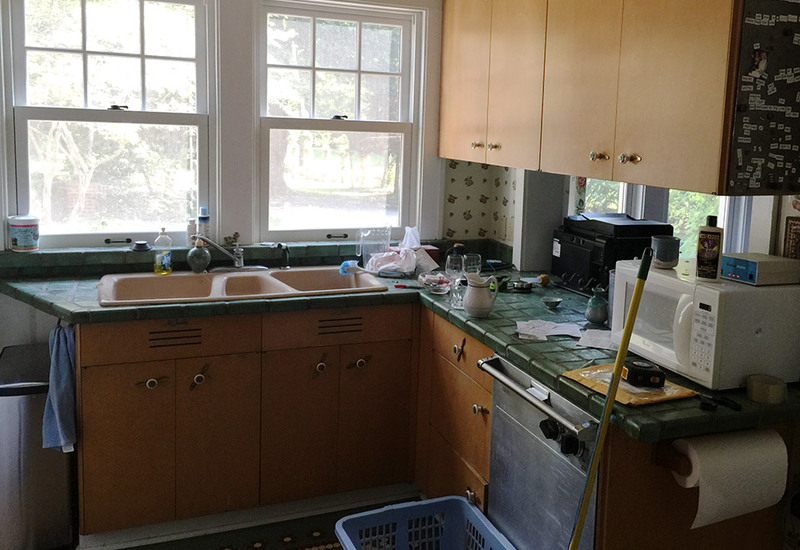 A few years prior to our remodel, the owners had built out an extension with a new kitchen rendering the old kitchen an unused space. 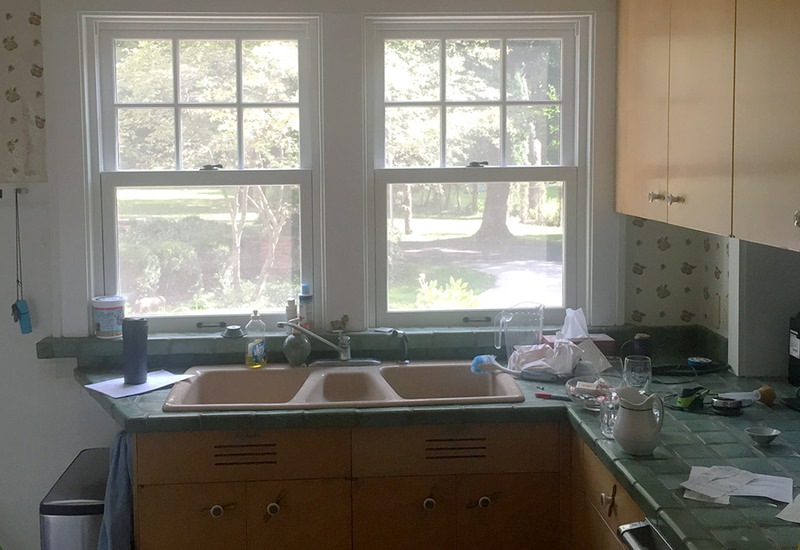 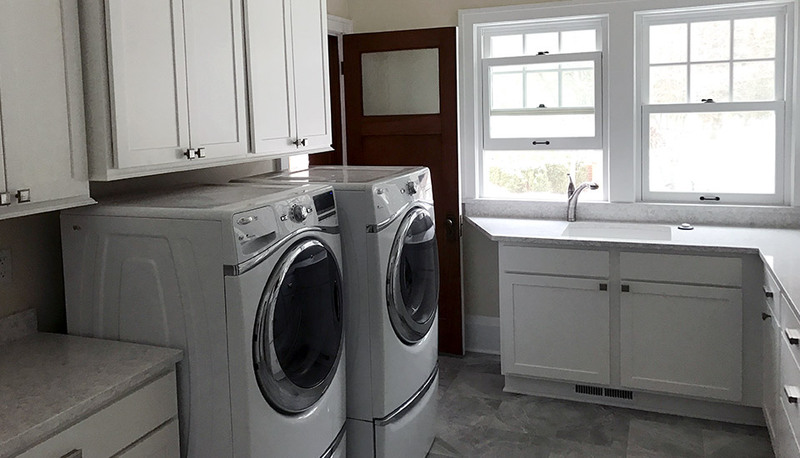 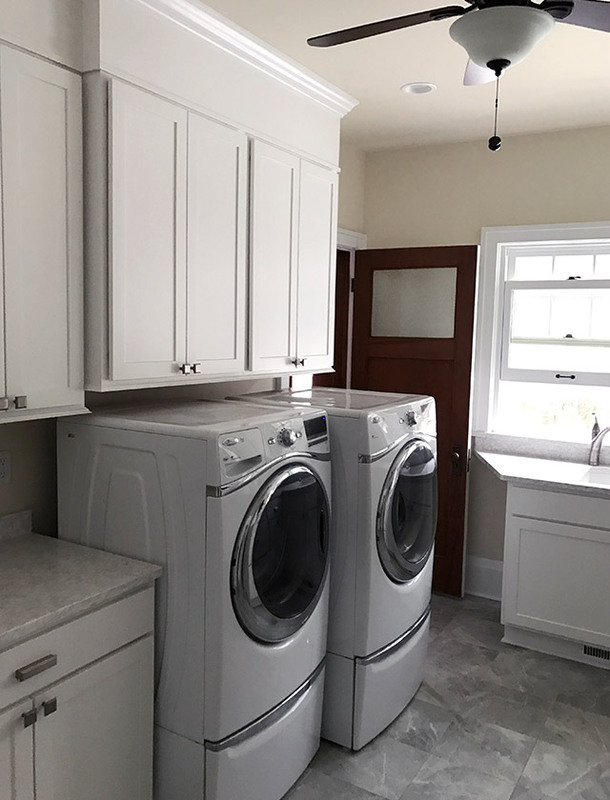 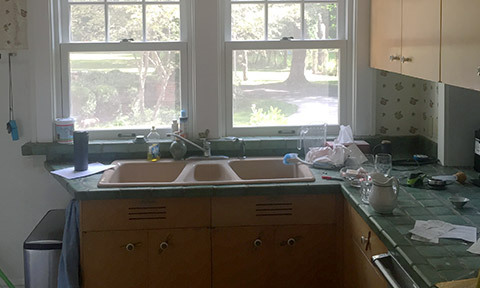 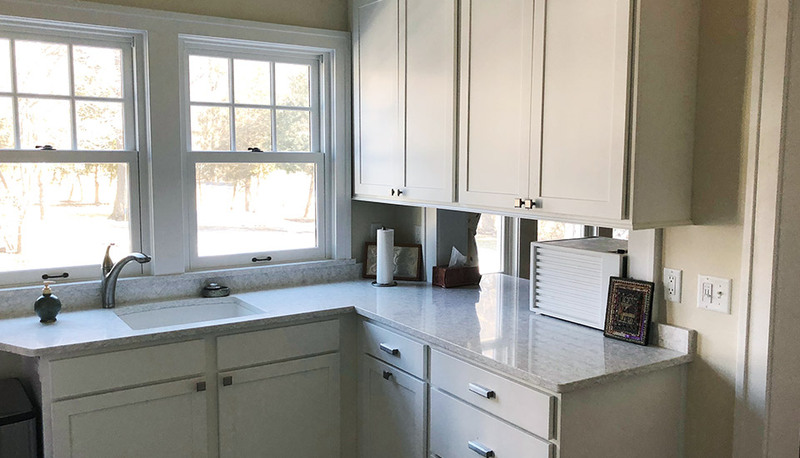 Our clients tasked us with changing this old kitchen into a new laundry room with custom storage, lots of access to natural light, and updated design features. 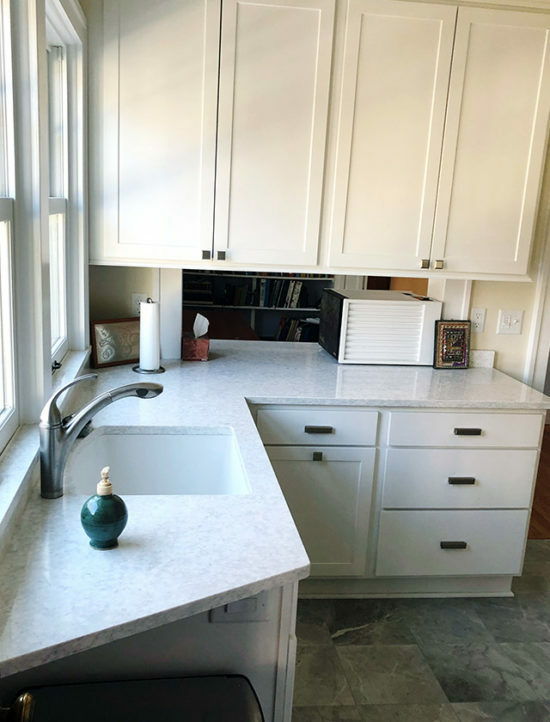 In order to meet their needs we installed all new custom Showplace Cabinetry with custom crown moldings, installed all new slate tile floors to replace the outdated pattern, and added new quartz countertops. 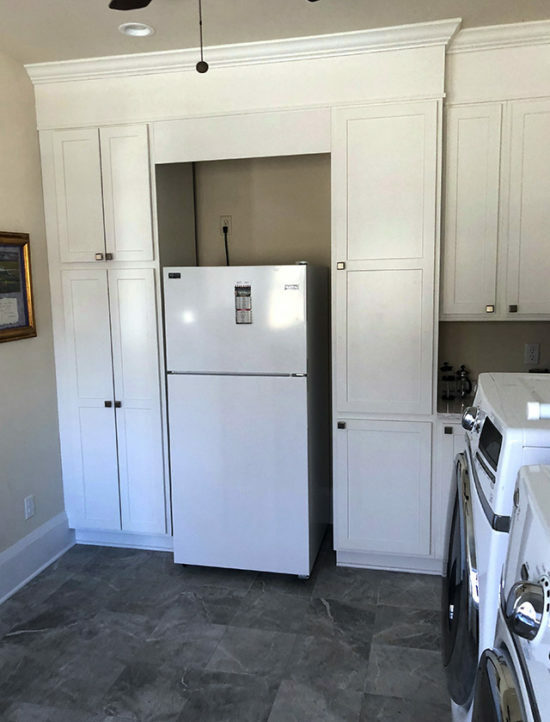 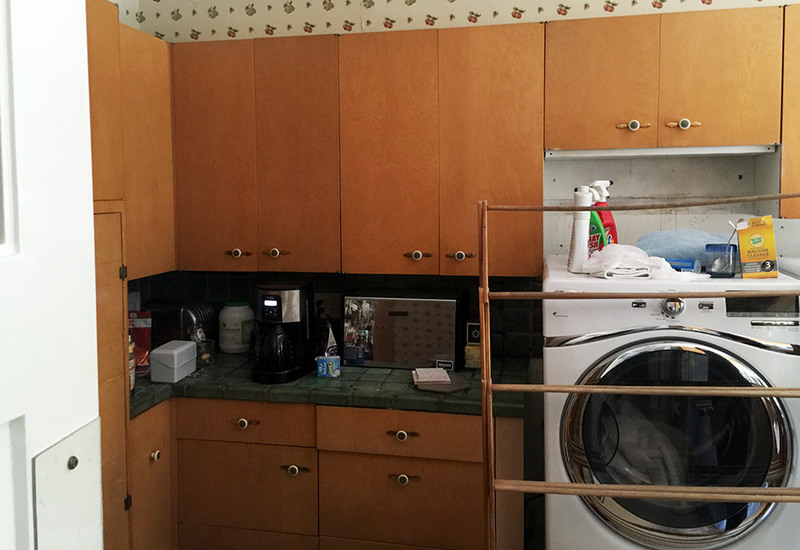 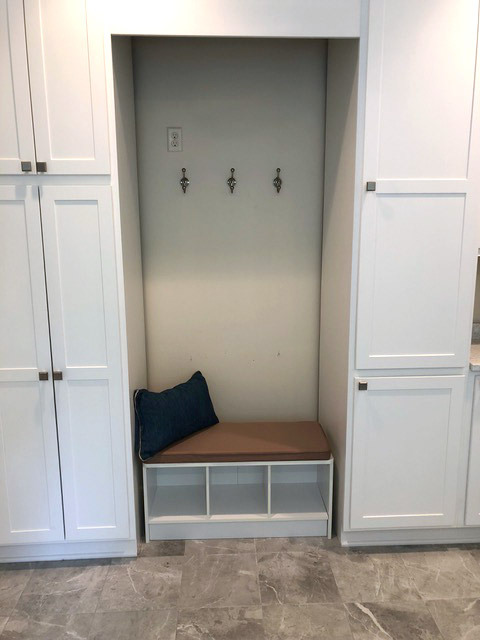 To finish the laundry room renovation, we removed the old refrigerator creating space for a built in bench and coat rack. 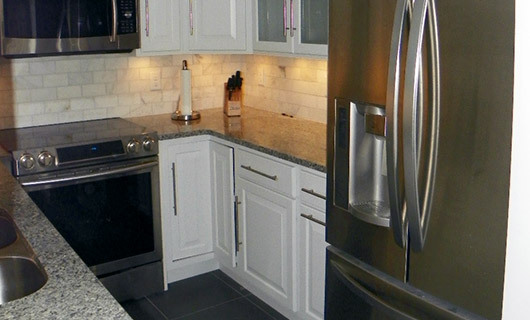 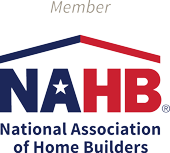 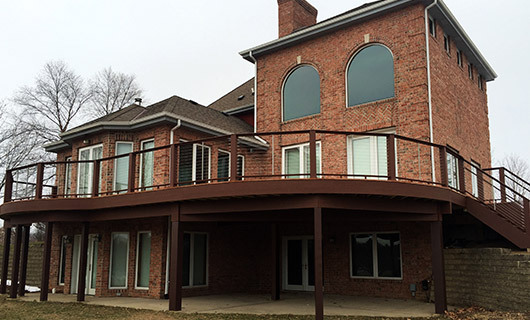 If you are looking to start a home project of your own, contact Renz Construction today! 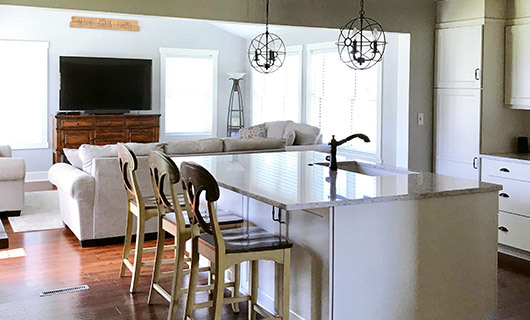 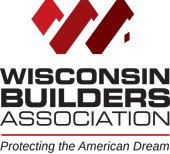 With experience in building additions, remodeling homes, and everything in-between, Renz Construction can help make your dream project come true!